A majority of the cleaners burden our water purification plants and the environment unnecessarily. This is due in part to using an excessive amount of chemicals and that many of them are very toxic. Some cleaners also have ingredients that interrupt the biological decomposition process in purifying plants. Ingredients that are not taken care of in the process go straight out into the environment where they damage the ecosystem. The products included in Smart’s cleaning range clean quickly and efficiently without chemicals. The products are also well documented, and extensive laboratory testing has proven that they remove the smallest of dirt particles. These products are, thus, recommended for people who have asthma and allergies. 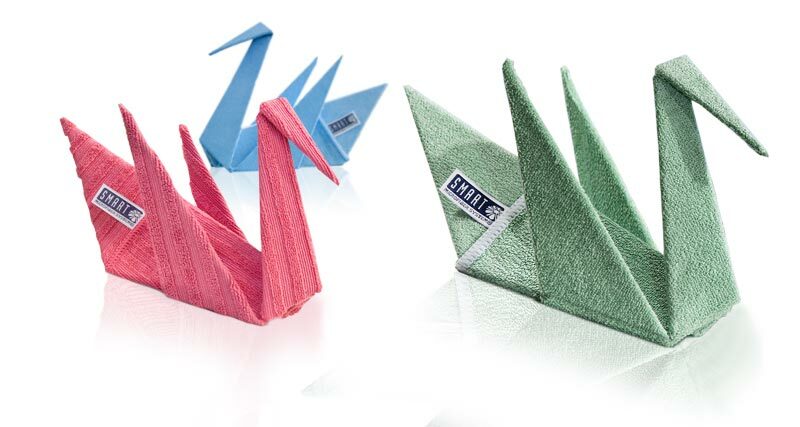 Various tests have been performed to evaluate how effective cleaning with microfiber is. The results show that cleaning with microfiber gives better final results. The measured amount of dirt, dust and bacteria left on the surface is much lower when cleaning with microfiber, compared to cleaning in the traditional manner. One explanation for the efficiency of cleaning with microfiber is that the material works like a magnet that attracts dust and dirt. The dirt is trapped in the millions of tiny hooks and loops in the material. 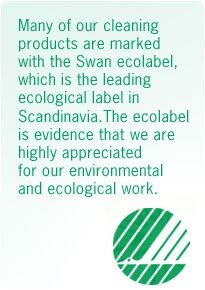 As a result of our desire to protect the environment, we are happy that many of our products now carry the Swan ecolabel.